Mesut Özil, a midfielder for Germany in the World Cup, helped break Brazil's heart when his squad eliminated the home team in a 7-1 shellacking. But when Brazilians learn the truth about the German star, he's kind of hard to root against. 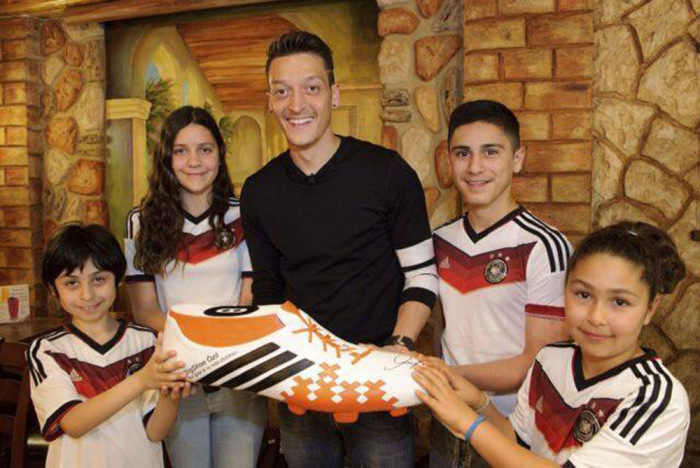 On Wednesday, Özil confirmed on his official Facebook page that he helped fund operations for 11 sick children in Brazil before the World Cup. In the same post, the 25-year-old, who plays for British Premier League club Arsenal, announced he will help fund operations for 12 more children to mark Germany's tournament victory over Argentina. The winning team is believed to have received bonuses of 300,000 euros per player. "This is my personal thank-you for the hospitality of the people of Brazil," Özil wrote in the post, embedded below.